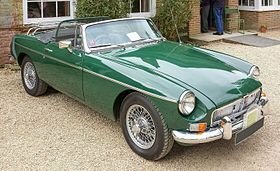 On the 16th October 1980 this MGB was placed on a production line in between other cars at the Abingdon factory, six days and only a handful of MG's later the very last one was built, that was the 23rd October 1980. 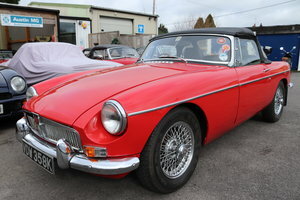 The last three cars to be built are now residing in museums and up to press this is probably the latest built MGB LE of this Marque to be on the road today. The LE is showing only 68,000 miles and this is backed up with plenty of history. The car is not perfect as the paintwork is blistering around the headlights and a couple of other places however this is still a very nice car with great provenance. 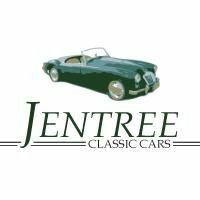 The body has undergone a full ziebart rust prevention from new and therefore the underneath is in excellent condition. 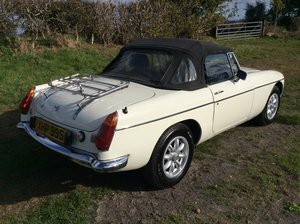 A new hood has been fitted along with a tonneau cover. 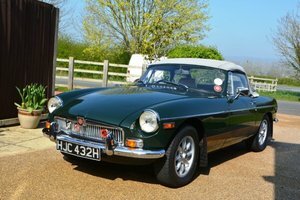 The car will come with a full 1 years MOT Any questions please do not hesitate to ask.